Salt & Heart Disease: How Much Is Too Much For Your Heart? You don’t have to a genius to know that too much salt makes you more likely to develop high blood pressure, heart disease, and stroke. But the big question is, do you really know how much is too much? Gain an insight of the dietary recommendations on daily salt intake and what you can do to limit its intake. Salt is a white crystalline powder that has saline taste and is used to flavor foods, and preserve certain food items. Chemically, the common salt or table salt consists of molecules of sodium chloride. The term “salt” may be used interchangeably with “sodium” but they don’t exactly mean the same thing. Once inside the body in the dissolved state, the salt breaks down into sodium and chloride ions. These charged species are essential for a number of physiological functions. For example, maintenance of acidity/alkalinity of body fluids, proper hydration, and functioning of nerves, heart, and muscles. But you take more of it for longer durations, which we actually do, the risk of heart disease increases significantly. According to the Centers for Disease Control and Prevention (CDC), the more salt you take, the higher is the risk of heart disease. Conversely, limiting its intake results in the fall in blood pressure within weeks. Keep in mind that high blood pressure is a major preventable risk factor for potentially fatal heart disease and stroke. 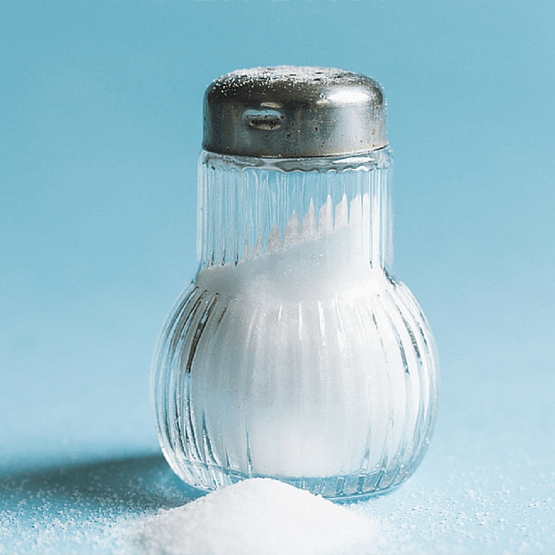 1 - Nearly 90% of US children take more than the recommended daily intake of sodium and approximately 1 in 9 children struggles with high blood pressure. 2 - Processed and restaurant foods are the biggest sources of “extra” sodium comprising nearly 71% of the total consumed salt. 3 - According to the CDC, 75 million U.S. adults have high blood pressure. 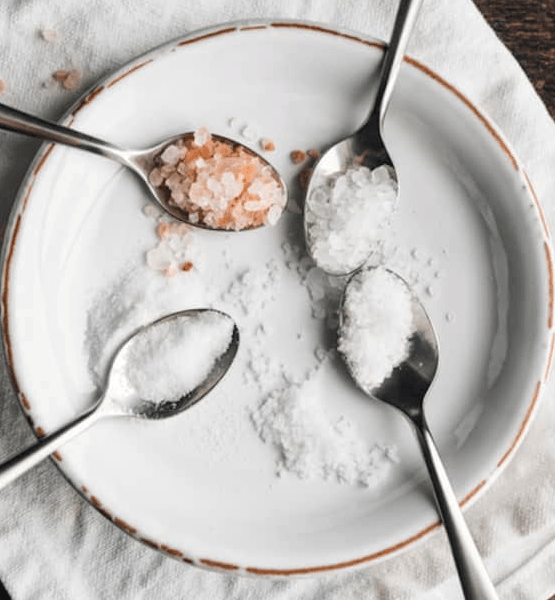 While not all the cases can be attributed to high sodium consumption, it makes sense when you consider most Americans take too much salt daily. 4 - More than 40% of sodium average Americans take comes from just ten foods, and not all of them taste salty. These include breads and rolls, pizza, sandwiches, cold cuts and cured meats, soups, burritos and tacos, savory snacks, chicken, cheese, eggs, and omelets. How Much Salt Should You Take Daily? The American Heart Association (AHA) recommends 2,300 mg or less of salt a day. The ideal limit is even lower at 1,500 mg per day. Unfortunately, Americans take large amounts of salt that is way higher than the recommended daily intake. According to the U.S. Department of Health and Human Services, U.S. Department of Agriculture, an average American consumes more than 3,400 mg sodium. Even worse, many of them don’t realize that they are hurting their heart and risking their health. The ideal or recommended dose is apparently hard to meet when you look at the current intake. For this reason, experts recommend reducing the intake to 2,400 mg or less. This looks realistic and is likely to be adopted by more people. Limit eating in the restaurants. Ask the owner if they have any policy for informing customers about the salt content in their menu items. Also, make sure to look at the portion size. Note that you can ask for nutrition information on the menu items if you are eating in a restaurant that is a part of a chain of restaurants with 20 or more locations. Read labels carefully while purchasing packaged foods. While choosing condiments, go for reduced or low-sodium version. To promote heart health, take a variety of fresh fruits and vegetables. Take poultry and fish instead of red meats. Drink moderately and quit smoking.